It was a very windy day… Due to the wind, we had an erratic match going, with the lead changing back and forth. We approached the par 3, 12th. Dave and I had the tee, set at 185 yds.. The wind was almost at gale force, in the direction of the green. Dave selected a club and was getting ready to tee off… I interrupted and asked “Dave, what club are you hitting…?” .. Dave answered “5 iron.”. Dave went to get another club… and I figured I might as well tee off…which I did… and badly. Shanked the ball off to the right..
Dave steps up to his ball… makes great contact…. hits the green… takes 2 bounces…goes in the hole..
Do you have a 19th Hole Story you’d like to share? Please contact me to post your story of an experience you had on the golf course. 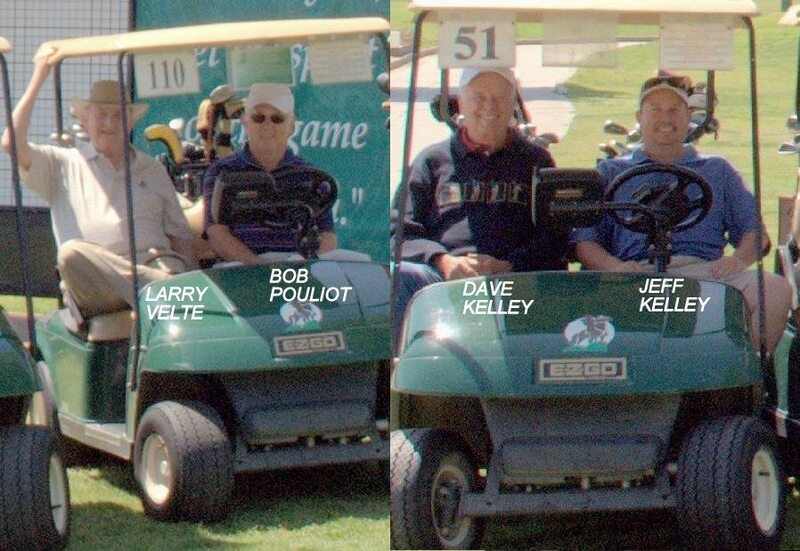 Posted in #GolfChat, 19th Hole Stories and tagged 19th Hole Story, Bob Pouliot, Dave Kelley, Golf, Jeff Kelley, Larry Velte.